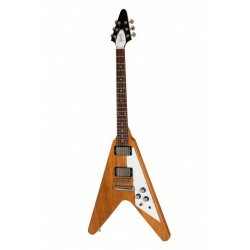 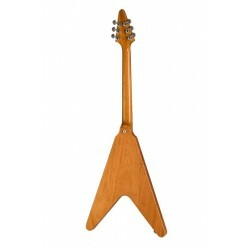 When introduced in 1958 the Gibson Flying V received mixed reception, fast forward 60 years and now the same model is regarded as one of the most rocking designs ever created. 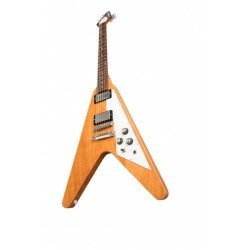 The 2019 Gibson Flying V carries its predecessors heritage to a new generation. 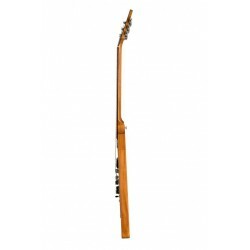 Antique Natural finish, mahogany set neck and rosewood fingerboard provide the classic looks, and playability is assured through a slim taper neck profile. 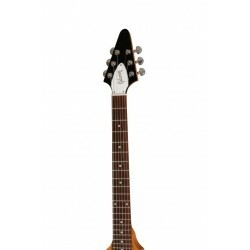 Burstbucker pickups bring the noise and provide that perfect mix of tone, volume and power.